Headed up by chef Michael Cooke, Camphors offers a tasting menu that will take you on a journey as fascinating and many-faceted as the historic estate itself. 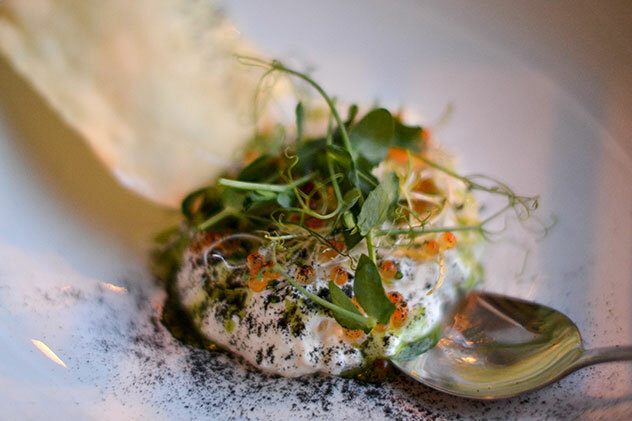 A dish from Camphors at Vergelgen. Photo supplied. 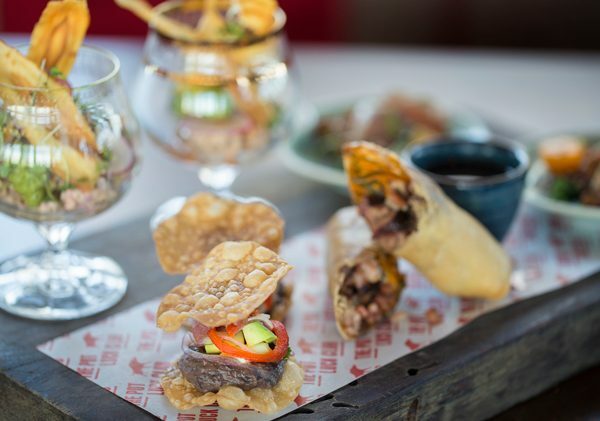 Liam Tomlin’s Bree Street restaurant continues to serve up tapas for two that will knock your socks off. 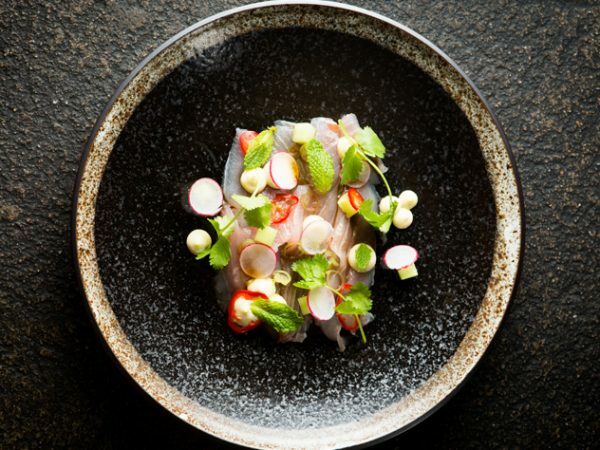 Yellowtail with avocado, radish and ponzu at Chefs Warehouse and Canteen. Photo by Jan Ras. 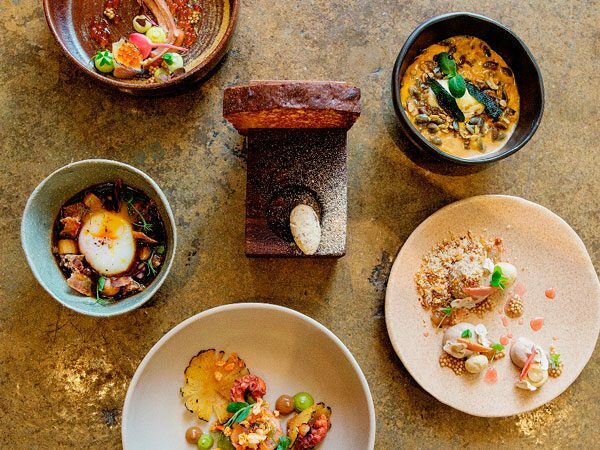 The Constantia outpost of Liam Tomlin’s tapas stable is headed up by chef Ivor Jones, and pairs tapas with stellar views of the Constantia wine valley. 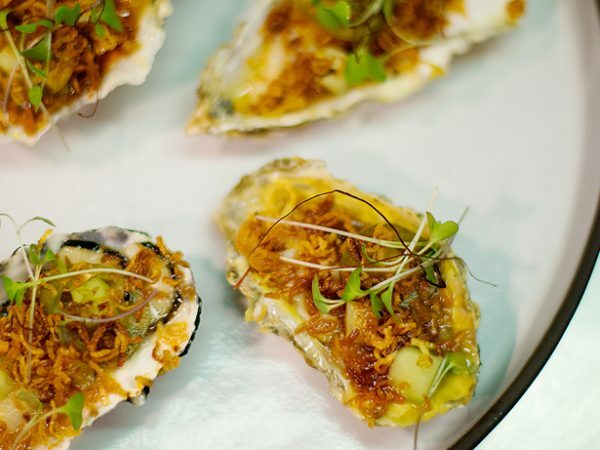 Oysters from Chefs Warehouse at Beau Constantia. Photo by Claire Gunn Photography. 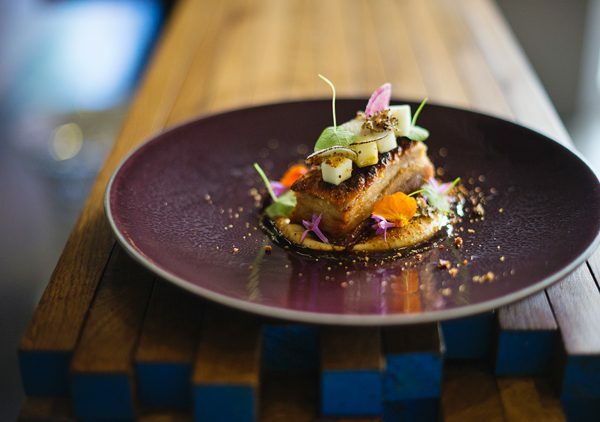 Martinus Ferreira’s Joburg restaurant serves up sumptuous, indulgent food from a cleverly designed space in Dunkeld West. Polenta and cauliflower espuma with sultanas from DW Eleven-13. Photo supplied. 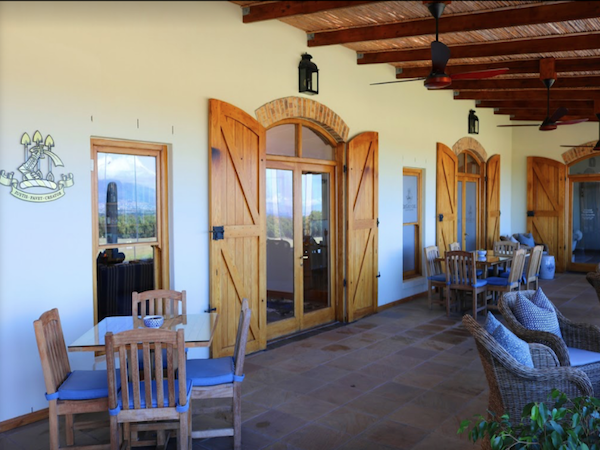 Eric Bulpitt’s restaurant on the beautiful Avondale Estate serves up fine dining food with a beating, country-style heart – plus sweeping views and a comforting vibe. Happy chicken slow-cooked leg at Faber. Photo supplied. 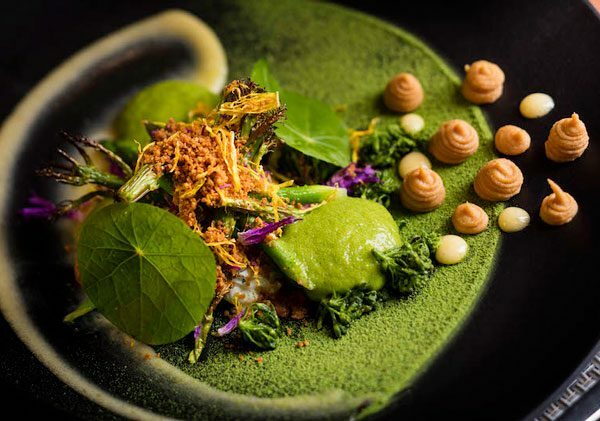 Adriaan Maree is on a mission to close the loop between farmer and chef at this sustainability-focused Pretoria gem. 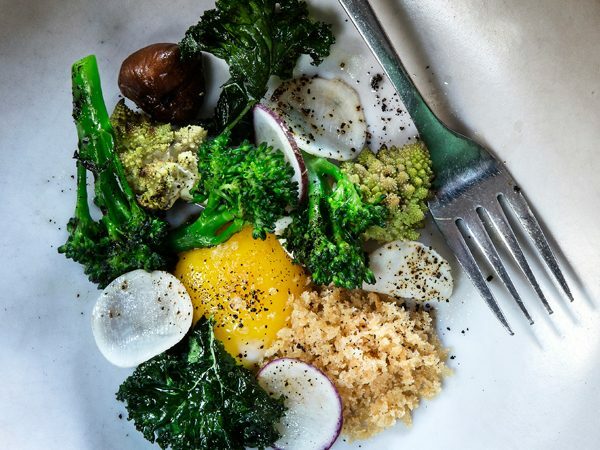 A dish from Fermier. Photo supplied. 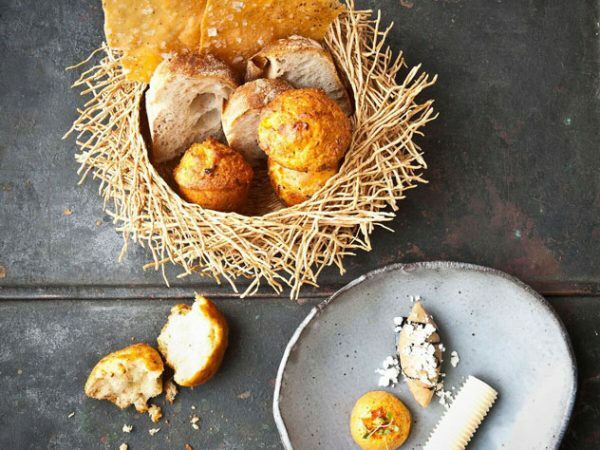 When he’s not hunting with his crossbow or foraging for unique, local ingredients, chef Chris Erasmus is turning out beautiful refined food at this restaurant on Franschhoek’s main drag. Warm salad of charcoal-roasted beetroot, broccoli, sorrel yoghurt and 19-year-old vinegar dressing at Foliage. Photo by Jan Ras. 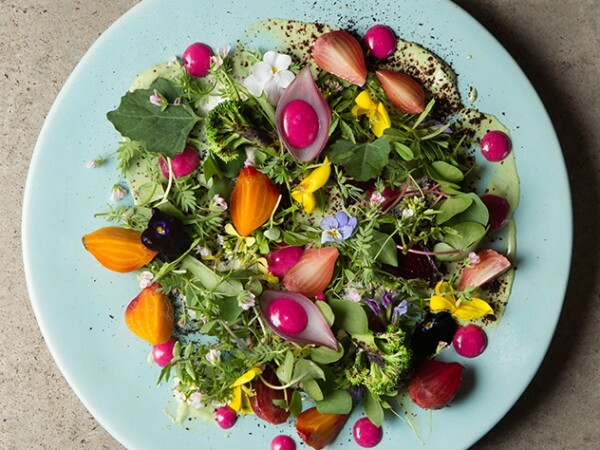 A partnership between La Colombe’s Scot Kirton and chef Glen Foxcroft Williams, this first-time nominee took the title of Eat Out Retail Capital New Restaurant of the Year in 2016. A selection of dishes from Foxcroft. Photo supplied. 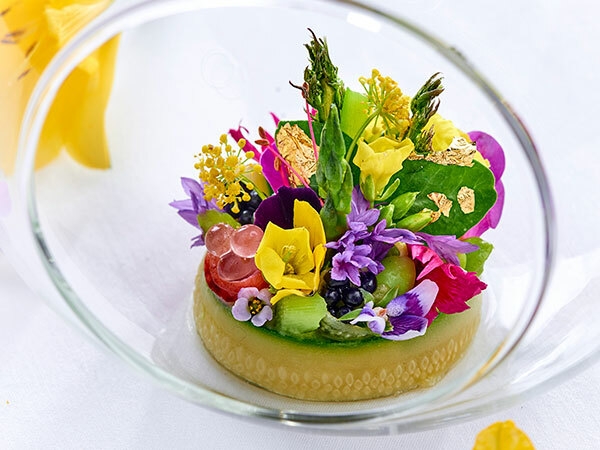 Peter Tempelhoff’s creative and technically precise food will take your taste buds to new frontiers in a serene and stylish dining room at this iconic hotel. Greenhouse at The Cellars-Hohenort. Photo supplied. 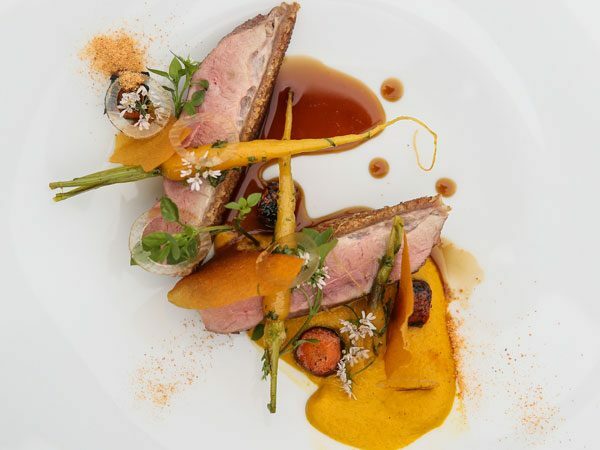 Our only KwaZulu-Natal nominee this year, Hartford House is headed up by Constantijn Hahndiek and his team, who convince food lovers to wander way off the beaten track for superb cuisine. 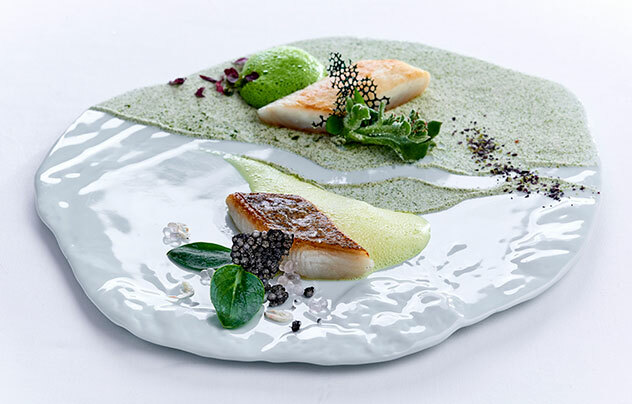 A dish from Hartford House. Photo supplied. 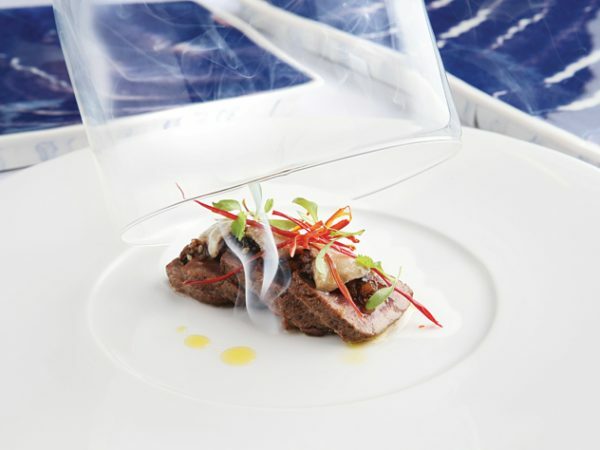 Chef Virgil Kahn serves up a tasting menu redolent with Asian flavours on the beautiful Delaire Graff Estate. 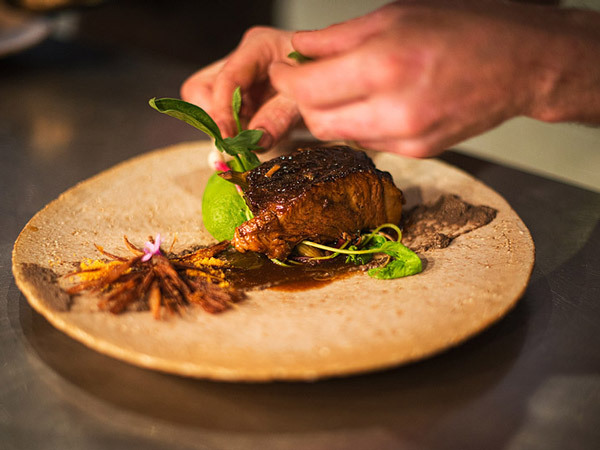 George Jardine has created a certified fine-dining oasis in an unassuming space on Stellenbosch’s Andringa Street. 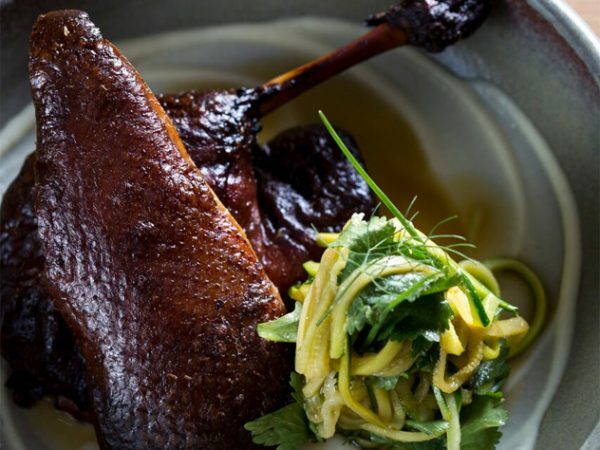 A duck dish at Jardine Restaurant. Photo supplied. 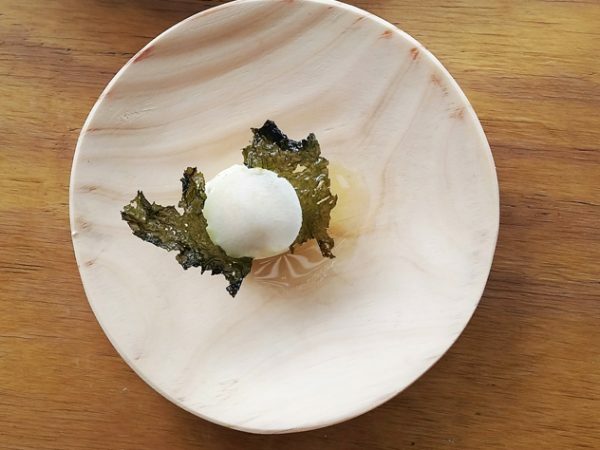 George Jardine and Kyle Burn turn out a flavour-packed, seasonal menu with views out over vineyards and dam, with spectacular mountains looming in the distance. 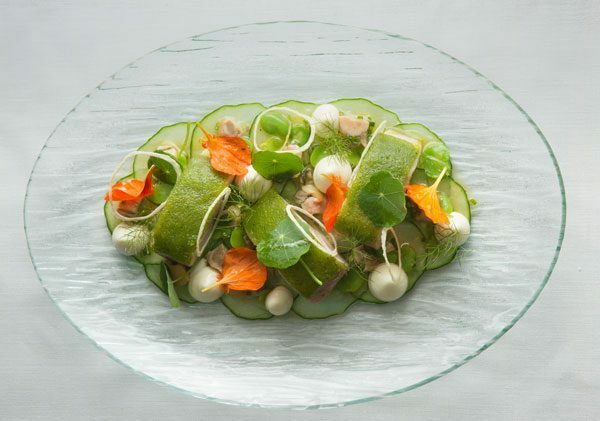 Yellowtail with salted cucumber and a smoked oyster dressing at Jordan. Photo supplied. 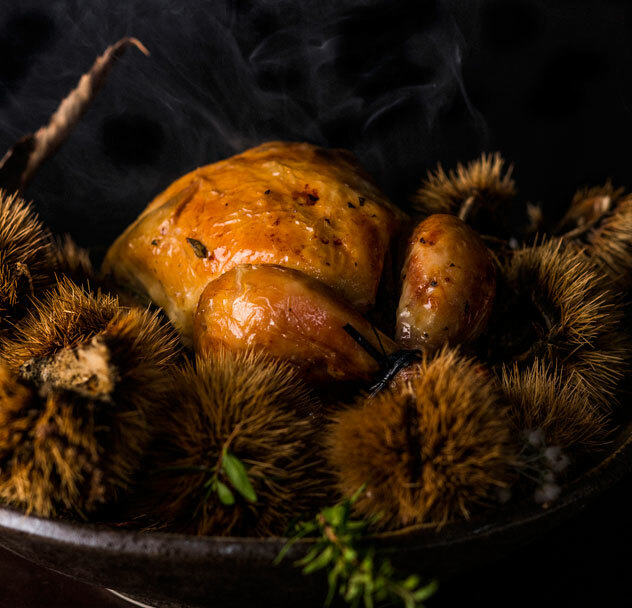 Expect not only stellar food but theatre, too, at Scot Kirton’s Silvermist restaurant, which came in at number two last year. La Colombe. Photo by Claire Gunn Photography. 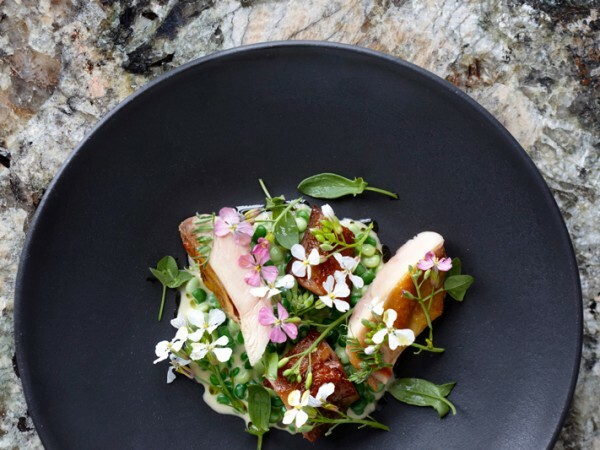 Henry Vigar’s magnificent tasting menu is something of a culinary beacon on Sea Point’s Regent Road. 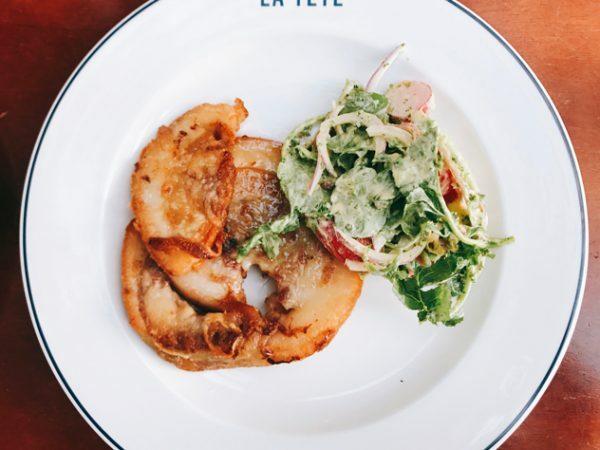 A dish from La Mouette. Photo supplied. 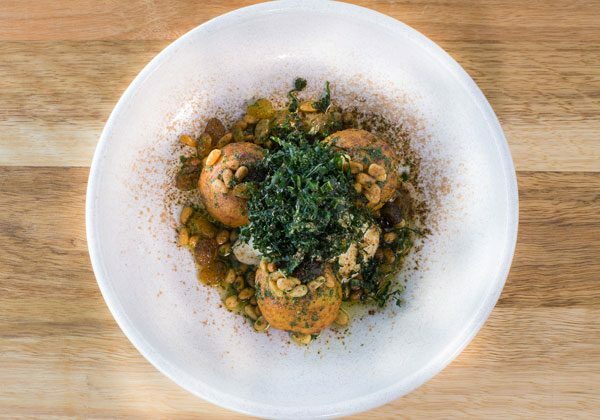 Another first-time nominee, Giles Edwards’s Bree Street restaurant has won the hearts of many with nose-to-tail cuisine, offering everything from brains to trotters. Luke Dale-Roberts’s partnership with one of Joburg’s fanciest hotels is headed up by Candice Philip. 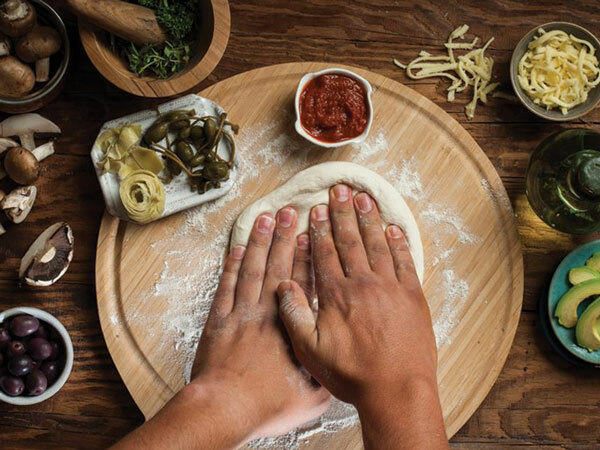 Together, they dream up imaginative, detailed dishes to serve from an open kitchen. Luke Dale-Roberts at The Saxon. Photo supplied. 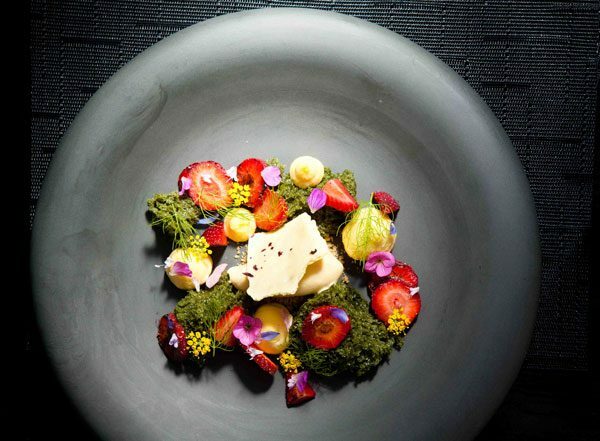 Served in an exquisitely decorated boutique hotel in suburban Stellenbosch, Lukas Carstens’s food is a fabulous surprise. Pork belly at Makaron. Photo supplied. 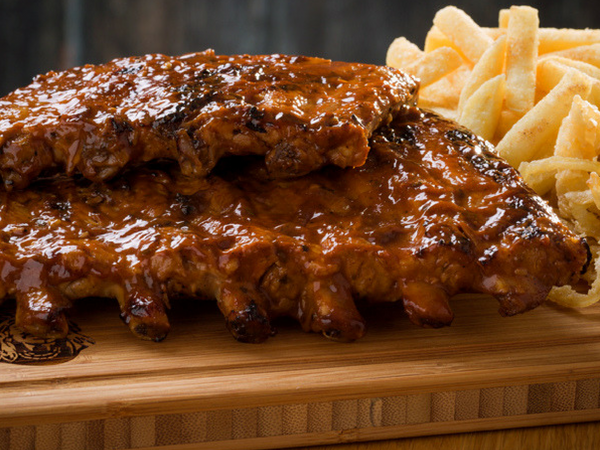 David Higgs’s live-fire restaurant sizzles and buzzes with energy. Gaze out over the city of gold at sunset as you tuck into live-fire meat – or even tuna belly – as you’ve never tasted it before. 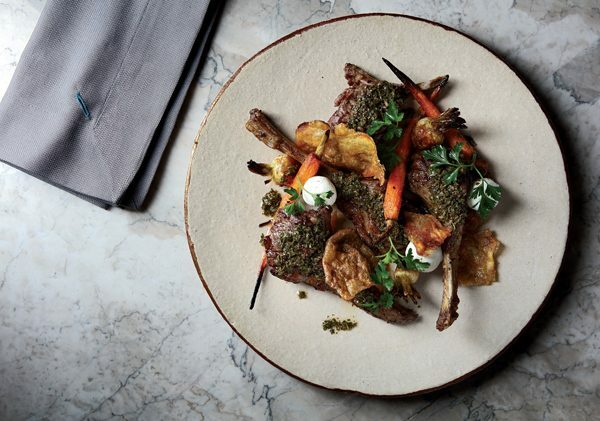 Lamb cutlets and chimichurri at Marble. Photo supplied. 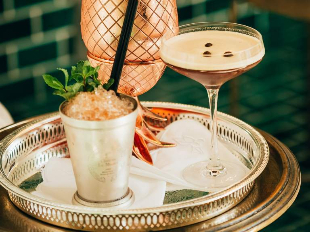 Cornel Mostert and Cynthia Rivera are serving up New-York-inspired tapas from this diminutive but beautiful restaurant just off Bree Street. Another first-time nominee. The smoked onion dip, with trout and scallion ash, and lavash at Mulberry & Prince. Photo supplied. 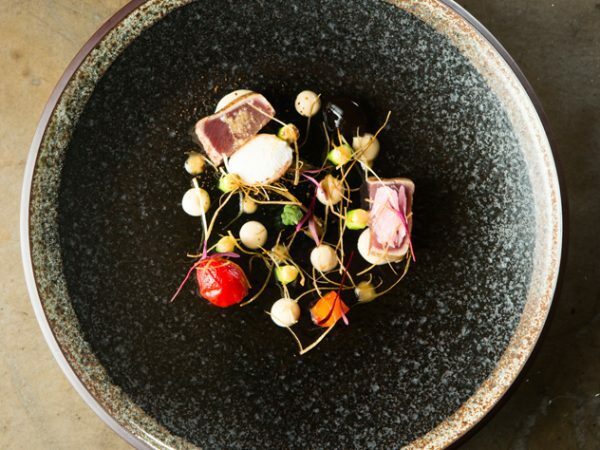 The jewel in Bertus Basson’s growing restaurant portfolio continues to routinely thrill guests who make the pilgrimage up the steep road through the Hidden Valley farm. 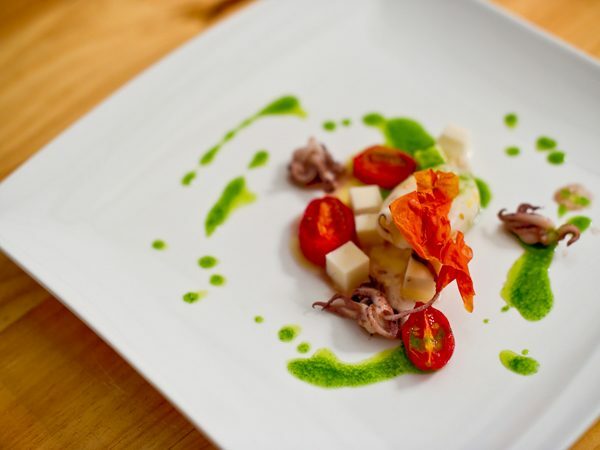 A dish from Overture. Photo supplied. 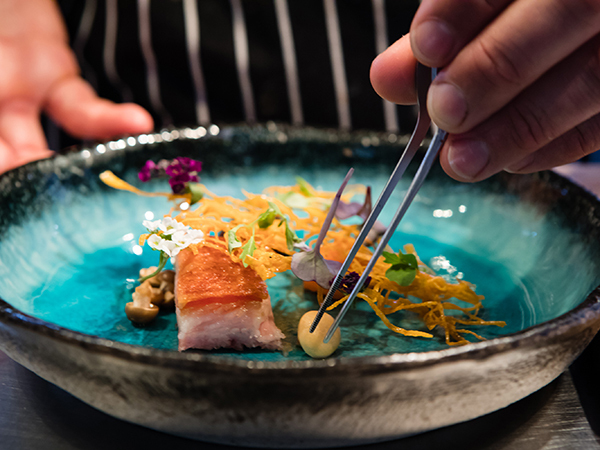 Ascend the glass-fronted lift to this fine-dining small-plates restaurant headed by Luke Dale-Roberts and Frederico Dias, and you’ll be rewarded with myriad surprising but perfectly formed flavours. The view out over Woodstock and the city is pretty incredible, too. Dishes at The Pot Luck Club. Photo supplied. 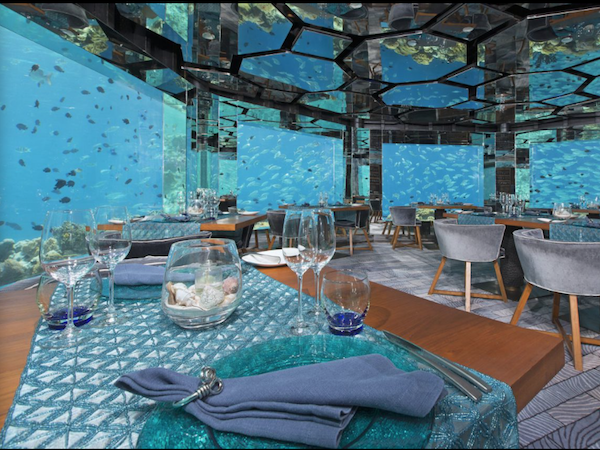 This contemporary cube of a restaurant is home to Gregory Czarnecki’s simply stunning plates – and occasionally, trees – of food. Save space for the petit fours. 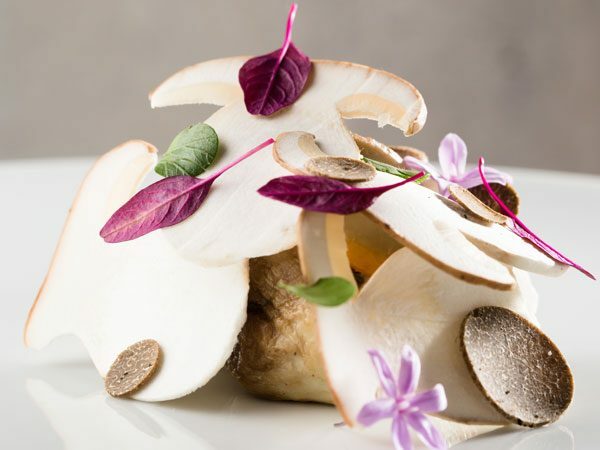 Chef Chantel Dartnall’s magnificent botanical cuisine won her the Eat Out S.Pellegrino Chef of the Year in 2014. Where the river meets the ocean, a dish from Restaurant Mosaic. Photo supplied. 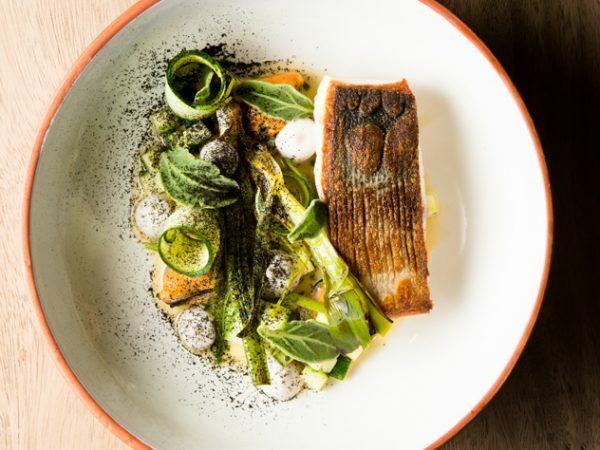 Luke Dale-Roberts and protégé Wesley Randles are behind this inner-city restaurant, which serves up gorgeous food in a stunningly converted attic. The chestnut and fynbos roasted petit poussin at The Shortmarket Club. Photo supplied. This first-time nominee in the Overberg is headed up by Jürgen Schneider, a man with Michelin pedigree. 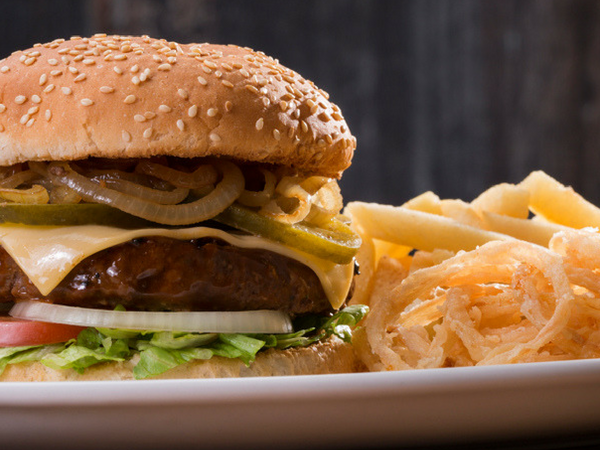 A dish from Springfontein Eats. Photo supplied. Lunch at a courtyard table at Michael Broughton’s relaxed but glorious Kleine Zalze restaurant is one of the iconic Winelands experiences. A dessert from Terroir. Photo supplied. 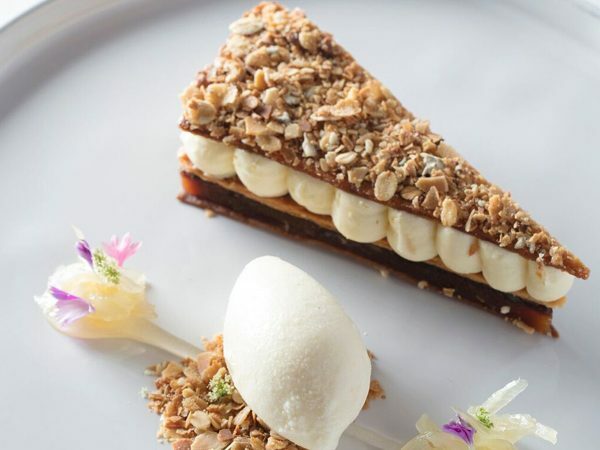 Luke Dale-Roberts’s signature eatery is our current Restaurant of the Year. Bookings are like hen’s teeth. Tuna loin with kale in three ways and tofu cream at The Test Kitchen. Photo supplied. 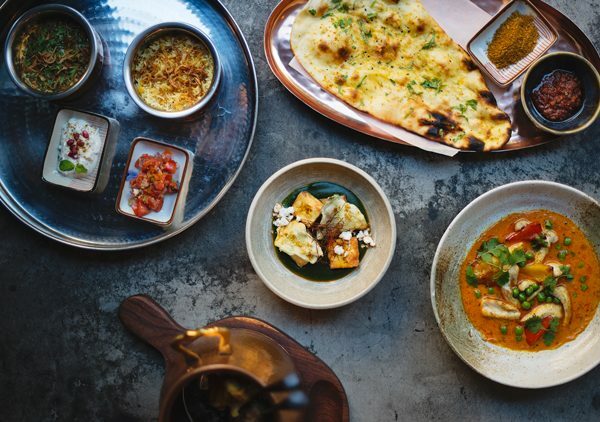 Bringing Liam Tomlin’s nominations up to a grand total of three, Thali serves up Indian tapas from an atmospheric space just off Kloof Street. The kitchen is headed up by John van Zyl. A selection of tapas from Thali. Photo supplied. 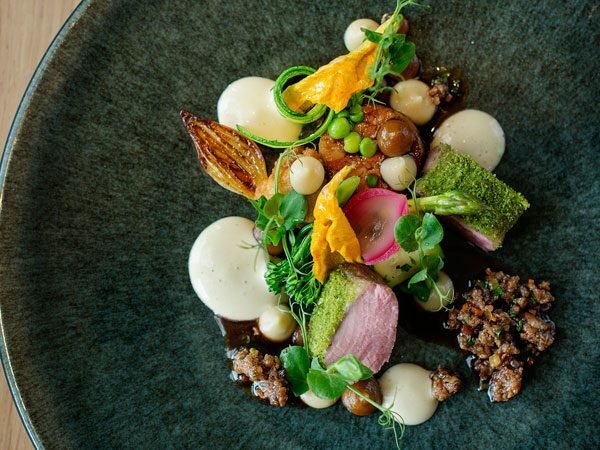 This is Kobus van der Merwe’s first nomination for the Top 10 list, although the chef has won the Eat Out Nederburg Rising Star award in 2014. There’s simply nothing like his menu, much of which is foraged from the surrounding dunes. 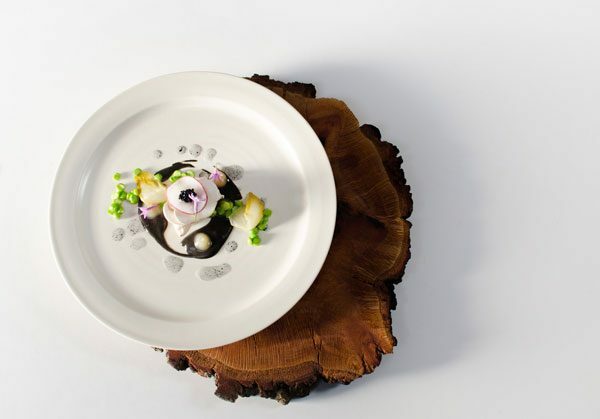 A dish from Wolfgat. Photo supplied. This year for the first time, the above chefs will also vote for the Eat Out Graham Beck Chefs’ Chef Award. Find out more here. Really don’t understand how Rust & Vrede could not be on this list.